A furnace is one of the most expensive appliances to buy and operate for your home. Your furnace may be fired by gas or oil, or it may be powered by electricity. It is complicated to maintain, and for most people, an appliance which should be serviced annually by a trained professional. Your furnace may be integrated as part of your home HVAC (heating ventilation and air conditioning) system. 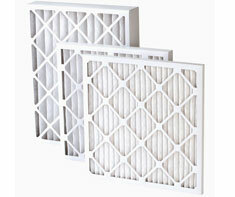 Proper maintenance will help reduce unscheduled repairs to your furnace. Baseboard Heating, Basement, CO Detectors, Forced Air Heating, Radiators, Water Heater (gas) and Water Heater (oil). Shown in the 'Routine Care' section are the recommended routine maintenance tasks for your furnace (gas). The 'Q & A' section shows answers to common questions. And the 'Articles' section provides helpful articles about your furnace (gas).